You are here: Home / Announcements / Campus events for the week of Oct. 9: Transfer Week, Japanese Culture Festival, Addams Family, and more! Campus events for the week of Oct. 9: Transfer Week, Japanese Culture Festival, Addams Family, and more! Here are the events happening around campus for the week of Oct. 9. Did you know it’s Transfer Week? Be sure to check out some of the great workshops happening around campus focused on helping transfer-bound students have a smooth transition to a four-year. College reps from Pacific Lutheran University and The Fashion Institute of Design & Merchandising will be on Shoreline’s campus to meet with interested students. Reps will discuss topics such as academic programs, campus life, financial aid, and admission procedures for their college. They can answer other questions students may have too. Interested in transfer to the University of Washington, Seattle? Come and learn about the admission process, best preparation, and how to connect with UW resources. This session is good for students with any number of credits, from very few to almost complete. Drop by the Japanese Culture Festival in the PUB Quiet Dining Room (9208) on Wed., Oct. 11 from 9:30 – noon to try a Japanese game, make origami, try on beautiful clothing, and even see a dance performance. Thinking about transferring to a 4-year university or college after you finish your degree here at Shoreline? Come learn the basics about transfer including choosing your school, timeline for transfer, and how to find the information you need. Both women’s and men’s soccer play at home against Whatcom. Come on out to the soccer fields on the north end of campus and cheer on our Phins. Women play at 2pm, men take the field at 4:15pm. #GoPhins! Save 50% every time you take the bus with an Orca LIFT card. Transfer the value on your current Orca card to a LIFT card to start saving. To sign up, bring your EBT card, unemployment award, DSHS award letter, Provider One card, or pay stubs to the Orca-to-Go cart in the PUB TODAY only! Presented by the GAC: This unique non-profit organizes medical teams that travel to Syrian refugee camps in Jordan and Greece. They also collect clothing, furniture, household effects, and medical supplies for refugees in these camps, as well as those who have resettled in Washington State. The desire to help others transcends politics, religion, and sectarian tensions. Rita also has advice for those of us who want to help. Women’s volleyball plays at home against Skagit Valley. Come on out to the gym and cheer our Phins on to victory. #GoPhins! 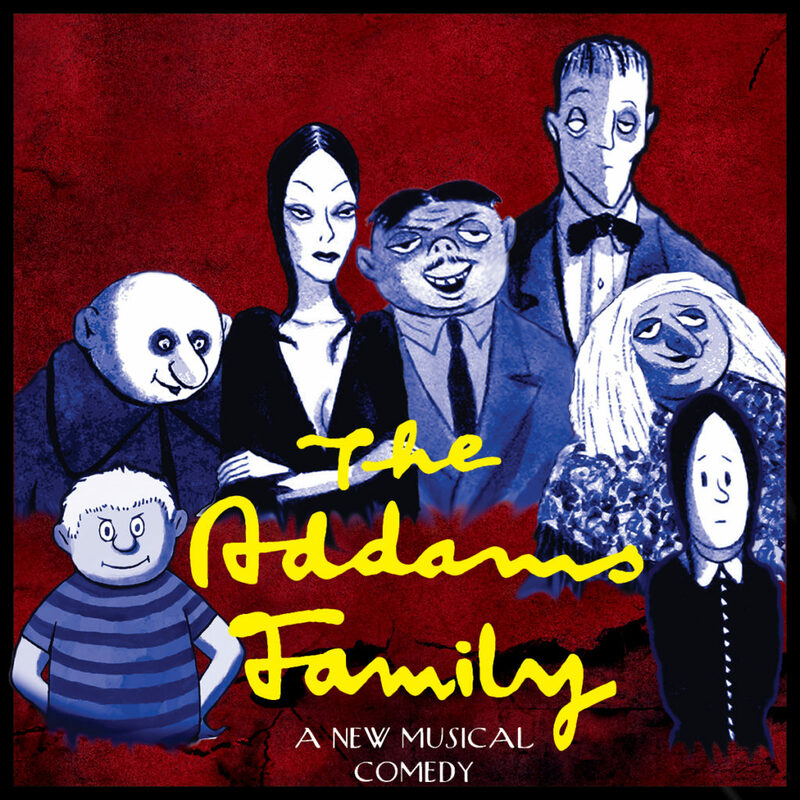 Shoreline Community College Musical Theater Program is proud to present The Addams Family – A New Musical Comedy playing in the main campus theater Oct. 13-15. Get tickets! It’s a dismal day with the Addams family, and the abnormally ghoulish and gloomy atmosphere of the Addams’ family mansion is suddenly disrupted when outsiders come to dinner, hurling Gomez, Morticia, Wednesday, Pugsley, Uncle Fester, Grandmama, and Lurch headlong into a night that will change the family forever. Tickets available at Brown Paper Tickets and at the door. Shoreline is co-hosting Seattle Web Fest Fall. Industry executives give an insider look at how to market your web series to buyers. Featuring Tom Skerritt, Writer Director, Actor and Founder of theFilmSchool Seattle; Stacey Adams, Past Current Executive CBS Television on shows like Big Bang Theory and the CSI franchise; and Diana Dotter, Producer of Feature Film, Television & Web Series and Executive Director of TheFilmSchool Seattle. Featuring SWF Award-Winning Series from the Pacific Northwest including: Manic Pixie Dream Wife, Journey Quest, Phoenix Run, Capitol Hill, and Dynamo. Meet and Greet with show creators & industry professionals including brief presentations from TheFilmSchool, Shoreline Community College, and SIFF. Featuring SWF Award – Winning International Series including: Bertrand, Psychosomatic, High Road, Whatever Linda, Wimpole Street, and Wastelander Panda.